Content marketing is tough to organize. First of all, it involves a lot of creative tasks and creativity is impossible to scale. Secondly, a content marketing team is often scattered all over the country (or even all over the world) because it’s tough to keep so much diverse talent under one roof. So how to keep content marketing strategy under control? How to protect your brand and help you keep your sanity as you juggle all of the tasks required of you as the leader of the team? Managing a distributed team for a business or project is a lot of work. Anyone who has juggled these responsibilities is aware that a single broken link in the chain of communication can throw everything into chaos. Trying to get back on track wastes time, and it might even impair the final product in the long term. No one wants to be the head of a project that led to a PR disaster. 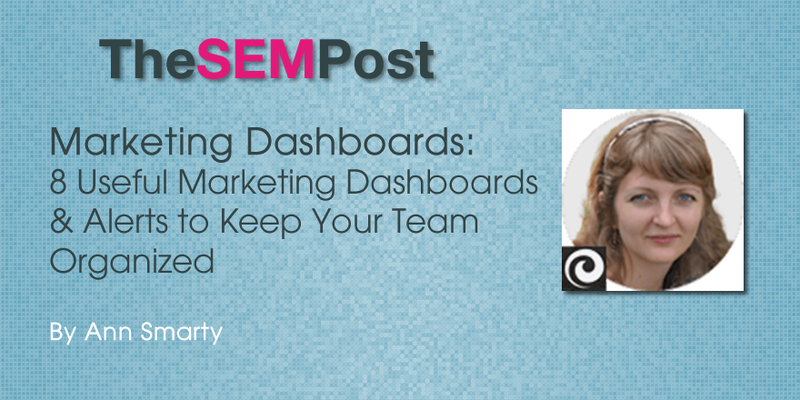 One of the simplest ways to keep this from happening is to ensure that all teams are made aware of changes, responsibilities and important information, regardless of whether or not you are keeping track. Automation is key, and marketing email alerts are a great first step. Think of these alerts as insurance, and set them up for every member of the many teams you are responsible for. Here is how to get them started. How important is ranking in today’s day and age? Well, according to research, 91% of people never look at the second page of Google results when they use the search engine. Of those people, 50% don’t even look beyond the first three results on that very first page! Think about that, for a second… if you aren’t at the very top, you have a 50% chance of not being seen at all, and by almost all Google users. Your ranking is paramount if you want to run a successful website, that is just how it is. Your team needs to be aware of any changes the second they happen, and always be working to make sure your brand is at the top of the food chain. Serpstat will track your search ranking, monitor for changes, and offer other features like keyword research, search analytics, and advertising analytics, and a lot more. Prices start at just $19 per month for their most basic plan. Has anyone been talking about a negative experience with your company? Maybe they are giving it plenty of praise, and wondering why no one from your marketing team has taken notice. Brand mentions are critical for keeping on top of your reputation online. 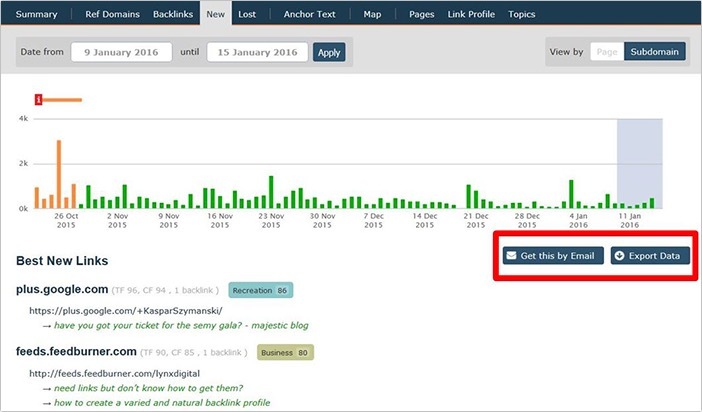 Buzzsumo is a great tool for getting an immediate heads-up any time your brand is mentioned, whether on social media, a review site, or a blog. You can also monitor competitors, keywords, trends, news, and more. Prices start at $79 a month for up to five users, and five alerts at a time. You can go for a agency or enterprise plans for more control. You can easily integrate those alerts into your current workflow and project management solution. How fast are your competitors acquiring links? Is there a potential negative SEO attack on your site? Would you like to know which bloggers are linking to you for you to be able to strengthen that relationship by thanking your promoters or joining the discussion? Majestic will be the answer to all those questions. You want to be alerted with strong links from certain domains are discovered, and this new tool from Majestic can help you. Just select the URL you want to be followed, and set the specifications for how often you want emails about the links. It will also track your data, which you can get in an exported file for your records. It is a great way to keep track of linking trends long term, so you can better narrow your field of focus later on. Following news and trends can be an great way to manage the temperature of the market, keep up with potential customer concerns, improve your product, and a lot more. Google Alerts of course provides one simple way to do this. You simply set up keywords that you want to follow, and you set how often you want an email sent with those keywords. It has remained a staple of news management for years. A different Google tool that is somewhat lesser known is their Trends monitor. You create subscriptions, which send you a daily or weekly email with links to the original sources. Another way is to use alert systems provided by news sources themselves. Business Insider allows you to set up a trend and news alert system by clicking on the orange button titled New Alerts on the right side of their homepage. Cyfe makes it easy to keep your social media sharing organized. You can keep your content library full to store content in categories for future use and retrieval. You can add all your team members to the company account to let them use the library and your curated content for their personal social media sharing and use built-in leaderboard to monitor how actively your employees engage in the content promotion. In most cases your content marketing efforts will be directed to lead generation. Content doesn’t normally sell. It is situated on top of your sales funnel and it’s usually best for building your email list. 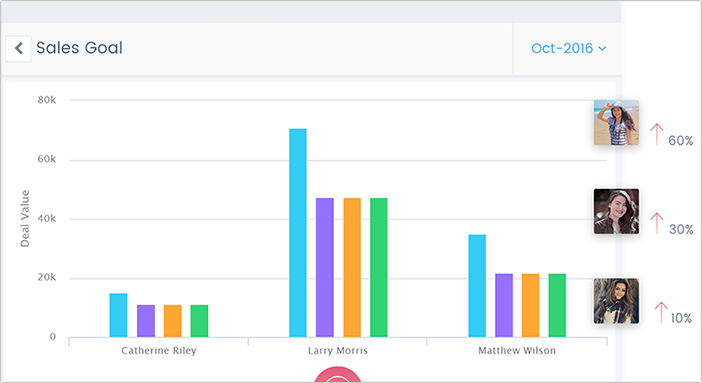 Salesmate is a great way to organize your marketing efforts the way that would help your whole team understand what works best for lead generation. Build a sales pipeline to visual the actual steps leads are acquired and verified to make your sales process more efficient. MyBlogU [Disclaimer: this is the platform I founded] attempts to do undo-able: It lets writers collect and organize ideas and set up a virtual productivity dashboard with dates, to-do lists and notes. Generating content ideas is the most effective way to write a lot, so you are sure to help your writing team a lot by giving them access to MyBlogU idea database. It also has company accounts available allowing you to easily add and manage multiple writers. Failure to produce original content is a huge mistake many businesses make. Therefore it’s very important to encourage your content team to use duplicate content checkers. Plagiarism Check is a solid easy option that will save you time and money. Your team is only as organized as the person who runs it. Using these tools makes it easy to ensure your content department is ready and able to keep communication open, and is aware of important changes in your brand and campaign.